First, the good. When the Vancouver Canucks face the Toronto Maple Leafs this afternoon, they’ll be going for their 12th straight victory against the team from the center of the universe; the Leafs haven’t beaten the Canucks since November 2003. In their last meeting earlier this season, the Canucks blanked Toronto 4-0 as Roberto Luongo stopped all 21 shots he faced. That night was also the night the Canucks retired Pavel Bure’s jersey and raised it up to the rafters. 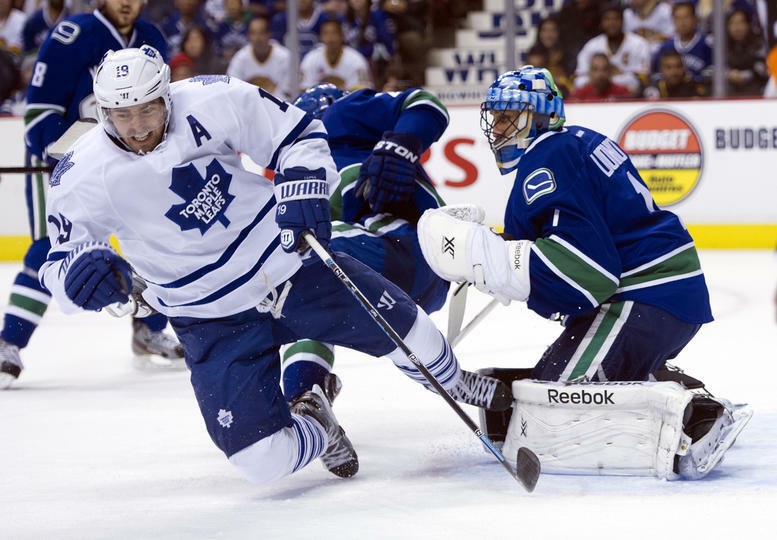 However, now may be as good a time as any for the Leafs to break out of their misery against Vancouver. Quite simply, they’re on a roll right now. One of the hottest teams in the league, the Leafs are have won 10 of their last 13 games (10-2-1), and they’ve moved all the way up to 5th place in the Eastern Conference after sitting in 10th place before this streak began. Decimated by injuries, the Canucks only wish right now to get back on the winning track, let alone start another lengthy win streak. After a 5-2 loss to the Montreal Canadiens on Thursday night, the Canucks have lost 6 games in a row – their longest losing streak in 15 years. They’re struggling at both ends of the ice, averaging less than 2 goals a game over the last 23 games, but yet allowing more than 3 goals against per game in that same span. Even their penalty-kill, the best in the league for most of the season, has dipped, allowing at least a power play goal against in each of the last 3 games and in 9 of the last 12 games; including that 9-1 debacle in Anaheim, they’ve now allowed 15 power play goals against in the last 12 games. This is the final game for both teams before the Olympic break. For the Canucks, it sure would be nice to at least head into it with a win. Especially against the Leafs.